We are pretty sure you’ve heard of the new Nissan Pathfinder before. The Pathfinder has been around for a very long time and has long been a symbol of ruggedness and off-road driving while being refined and even luxurious. Although the style of the Nissan Pathfinder has changed since Nissan redesigned the last generation and its ladder frame has been discontinued, the Nissan mid-size SUV remains a benchmark on the road as well as off the beaten path. The new 2019 Nissan Pathfinder features several versions including the exclusive Rock Creek Edition presented at the latest Toronto Auto Show. It is available as a FWD or AWD version and also offers three rows of seats in all versions. Capable of towing up to 6,000 pounds, the Pathfinder has the best towing capacity in its segment. Powered by a 3.5-liter V6 engine developing 284 horsepower, the Pathfinder is also an example of efficiency. The entry-level FWD model starts at $ 33,198 and has an average fuel consumption rating of only 8.5 liters per 100 kilometers on the highway and 11.6 liters per 100 kilometers in the city. The other option is to add all-wheel drive which translates into an average fuel consumption rating of 8.9 liters per 100 kilometers on the highway and only 12.1 liters per 100 kilometers in the city. 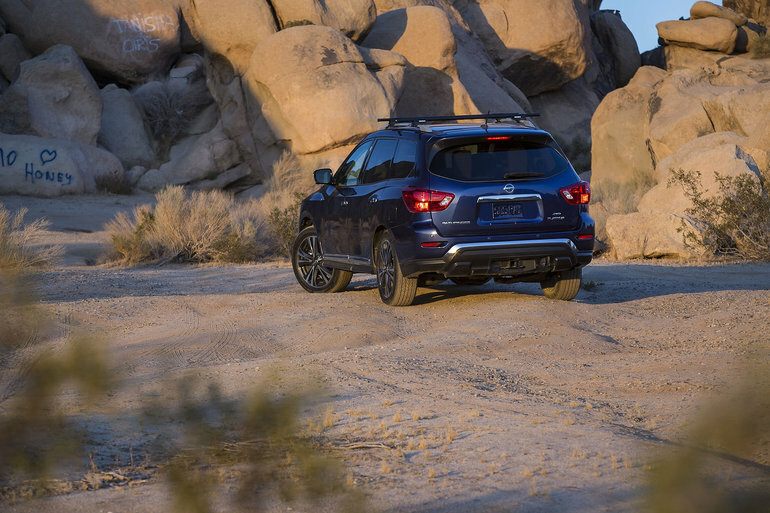 The Nissan Pathfinder 2019 comes standard with the Intelligent Emergency Brake System, 18-inch wheels and EZ Flex seating system. It can also get the navigation system, heated front seats and steering wheel, smart key with push-button start, electric tailgate, memory seats and a BOSE audio system, among others. 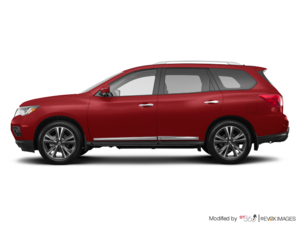 In fact, the 2019 Nissan Pathfinder offers plenty of versions and equipment, and it's really not hard to find the right model for our needs within the redesigned Pathfinder lineup. To learn more about the new 2019 Nissan Pathfinder, contact us today at Half-Way Motors Nissan.